There are moments when it seems America is about to come apart at the seams from the strain of internal conflict. But when Hurricane Harvey ripped apart Houston, Texas, a different portrait of America emerged, one in which people of all persuasions came together to heal wounds. This story begins with Keller Williams and the company’s annual conference – “Mega Camp” – in Austin, Texas. Each fall, about 12,000 Keller Williams associates come together to learn how to take their businesses to the next level. This year’s conference was scheduled to take place Sept. 14-15. But when Harvey made landfall on Aug. 25 and turned parts of Houston into something resembling a warzone, Keller Williams turned Mega Camp into Mega Relief with nearly 4,000 of the company’s agents spending those four days helping with relief efforts. “Mega Camp was scheduled to take place in the middle of September,” Brown says. “Everyone had registered for the event, booked hotel rooms and purchased plane tickets. “After Harvey came through, Keller Williams was still going to have the event. However, the following week, Austin was declared a Mega Evacuee Center and assigned 7,000 evacuees from the Houston area to the city. “Keller Williams received a call from the mayor of Austin, who asked them to consider cancelling the event because the city was looking at housing the evacuees in the Convention Center. “The Convention Center tried to make it possible for the evacuees and Keller Williams to be there but Keller Williams was concerned about the evacuees being displaced. Meanwhile, the company was being inundated with phone calls from agents who wanted to go to Houston and help. “Keller Williams had already deployed KW Cares, a public charity created to support the company’s associates and their families when they suffer a hardship due to an emergency. We’d sent 18 transfer trucks to Houston with supplies and generators and had mobilized hundred of agents from bordering states to come down and start ripping out damaged homes. “But our people wanted to help even more, so Keller Williams cancelled Mega Camp and launched Mega Relief. Agents who chose to stay home had their flights and reservations refunded while those who still wanted to come kept their flight and room and then traveled to Texas to give back. “Keller Williams coordinated with FEMA and American Red Cross, who put them in touch with Second Baptist Church Houston and all the area food banks and assembled a team that worked out the logistics. Altogether, Williams chartered 80 buses and worked with FEMA and the other agencies to identify work sites where they could help. “The agencies then sent a link to everyone who said they were coming that allowed you to go online and select what you wanted to do. Based on that, the agencies plugged you in somewhere, gave you a schedule and assigned you to a bus. It was very well organized. 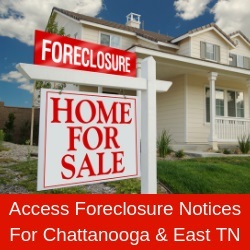 “Myself and two other agents from Chattanooga volunteered to demuck homes. We met at the Convention Center at 6:30 each morning, grabbed our lunches, hopped onto our bus and took a three-hour ride to where we were working. They then bussed us back at night. “On the ride down the first day, they played a video that explained what we would be doing, the tools we would need and how to respond to questions the homeowners asked. “I was not prepared for what I saw when we entered some of the neighborhoods where water had risen almost to the ceiling. It looked like a third world country or a place where bombs had gone off. “When you looked down the street, you could see clothing, furniture, appliances, sheet rock, carpet – everything was piled up to where you could barely see the houses; nearly all you could see was rubble. “There were china cabinets that looked like they could have been in families for years and living room sets on which a family might have sat and watched movies a few weeks earlier. It was as though their lives had been turned inside out, and everything that had been private and held within their walls was now on the street waiting for a dump truck. “It was very emotional. We instantly went from being excited and full of energy to help people to a somber mood. As we looked out the window at the residents and their things, we felt like gawking tourists. “On the way down, I was excited but also thought about how I could have cancelled my registration, stayed in the office and kept things going here, but in that moment, I knew I was where I was supposed to be. We were going to do something good for people who needed it. “As we pulled up to the first house, every other one on the block had been demoed [demolished]. The owner came out and said he didn’t think we were going to show up. Volunteers had been thinning out and he was worried we weren’t going to get his done. “What we were doing wasn’t about the company we worked for or who our competition was; we were there to provide physical and emotional support and get them through that day and to the next one. “As another group was leaving a third house, the homeowner came out and said, ‘Since the rain stopped and the water receded, I’ve been carrying the burden of wondering how I was going to do this. “We tore everything from the subflooring to the ceiling out depending on how high the water went. In the end, we demucked close to 150 houses and distributed over 10,000 pounds of food and an insane number of other items. “Keller Williams is now giving back to the victims of recent hurricanes in other ways. Our office is adopting two Keller Williams families from either Florida or Texas. “We’ll be committed to providing for them financially and in any other way we can over the next three months. Our goal is to provide $3,500 to $5,000 per family and any other donation they might need. “Those four days made me think about my home and family. The same thing could happen in our community. It could be our neighbors, family members, or agents whose homes are destroyed. “We have natural disasters – tornadoes, wild fires and floods – but it’s easy to become jaded to the impact of what happened to other people when it’s not in your face. “However, except by the grace of God, an EF5 tornado could come through next week and destroy our homes. “And as much as the people in Florida and Texas needed our help, we might need theirs. Those people are our neighbors. They needed us but there might be a moment when we need them. “The purpose of being in business is to fund your life and give back. I feel fortunate that Keller Williams allowed me to serve. They paid me to go to Texas and give back.